The Devil in the Donetsk Deal Details ⋆ News ⋆ Official website for Oleksandr Klymenko. 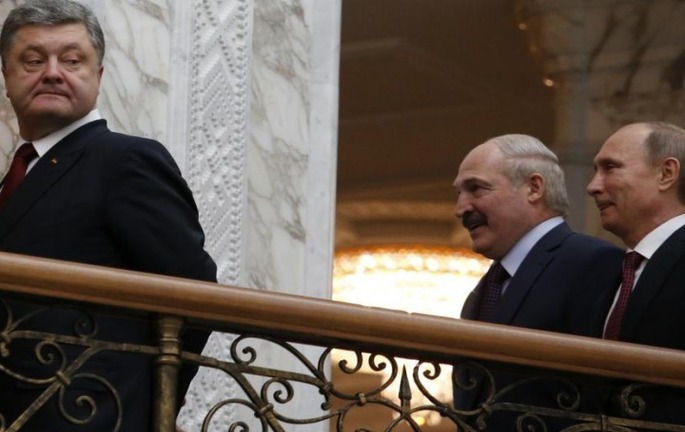 After a marathon meeting in the Belarusian capital of Minsk between the leaders of Germany, France, Ukraine and Russia on February 11 and 12, it seems the talks yielded a more fruitful outcome than anyone expected. As usual, however, the devil is in the details, specifically in the “temporary regime of local government in some areas of Donetsk and Lugansk regions” that the Minsk Agreement provides. This vague terminology covering the future governance of the Donbas region could engender the kind of divergent interpretations that could continue a conflict that has already cost too many lives. Or it could allow for a solution that would be in the long-term interest of all parties: declaring the Donbas a Special Economic Zone (SEZ). Strangely, Poroshenko’s casual announcement was made to an international news network, not to the citizens who elected him president. And ever since then, we have heard no further mention of an SEZ, leaving it as something of an afterthought. Why is Poroshenko only whispering about the possibility of Donbas as an SEZ? Part of the answer is the limited horizons envisaged by much of Ukraine’s government, which has chosen a shortsighted policy of isolation. They have instituted a social, humanitarian and financial blockade of the region, restricting the movement of citizens while continuing military operations. Too many Ukrainian leaders (as well as some in Europe) mistakenly believe that the deterioration of living conditions for citizens who have remained in the unrecognized republics is a sure-fire way to restore pro-Ukrainian sympathies. The inevitable result of this approach is not only a worsening humanitarian disaster. It will also usher in the dawn of a new grim reality for Donbas, where human relationships and administrative and political norms are changed entirely and irrevocably. It will leave a war-scorched land, a bleeding wound in eastern Ukraine, which will inevitably be ignored and left to fester. Those who remain will do so reluctantly, as a last resort once all other options have been exhausted. What is so desperately needed is a feeling of hope for Donbas. The sense of a brighter future, a reason to stay. For all the fighting, the dreadful loss of life, the destruction the conflict has brought, there is no plan, no strategy for the day after. There remains little indication that Ukraine’s leaders have given much thought to Donbas’s eventual place in the overall structure of the state. This vacuum leaves residents wondering whether there has been any real point to the struggle. The only glimmer of a sustainable solution is the idea of an SEZ fleetingly suggested by Poroshenko. Although it’s not an all-encompassing solution to Donbas’ problems, an SEZ would make enormous sense. Rather than incurring a massive military expenditure, Donbas would become a region that attracts investment. Moreover, the SEZ would leave intact the territorial integrity of the state while recognizing the East’s traditionally distinct regional identity, and give Donbas a genuine strategic importance as a bridge between Europe and Russia. It would also help win support from the international business community, attracting business through the possibility of multi-currency payments and the absence of taxation. There is no single global model for establishing an effective and profitable SEZ, yet the advantages are plain to see. Overall, the number of SEZs is growing globally, with around 1,200 in existence at a growth rate of about 7 percent annually. The United States, Japan, the European Union and South Korea have all used hybrid versions of SEZs to create incentives for business. In Northern Ireland, administrative autonomy has helped alleviate tension and generate. The only significant question mark is the attitude of the Ukrainian government. The longer Ukraine tries to fence off Donbas through a blockade and silence, the harder it will be to restore peace and ultimately rebuild the region. Poroshenko cautiously opened the door to this debate and must now push it wide open into a vibrant and open discussion. The grim alternative is a future drifting toward further destitution, death and destruction.